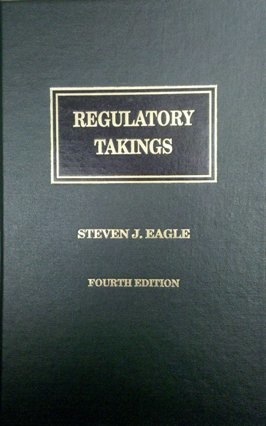 The Fifth Edition of Regulatory Takings (2012), including current supplement, is available on-line through Lexis.com. The only comprehensive treatise on the relationship between government's regulatory powers and private property owners' rights now is available on the web as part of the Lexis® service. Sign on at Lexis.com, then enter "Regulatory Takings" as your desired source. Filed on behalf of Reason Foundation, April 18, 2016, available at www.scotusblog.com/wp-content/uploads/2016/04/ReasonACBrf.pdf. 10 NYU Journal of Law & Liberty Rights (forthcoming 2016), available at ssrn.com/abstract=2743712.